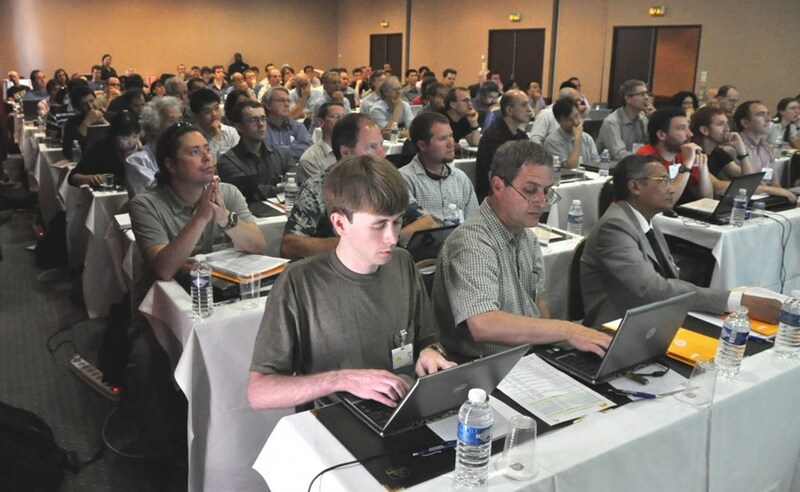 This year's EPICS meeting hosted by ITER attracted 120 people from 15 different countries. The spring 2010 EPICS collaboration meeting was hosted by the ITER Organization in Aix-en-Provence this week. EPICS stands for "Experimental Physics and Industrial Control System" and is a set of open software tools and applications used worldwide to build distributed control systems. Among the users are the tokamaks KSTAR in Korea and NSTX in the US. EPICS has been selected as the core of ITER's control system and is distributed to the ITER community within the CODAC Core System. The EPICS collaboration meeting is organized twice per year with the purpose of allowing users of EPICS to share information and coordinate future development and collaboration. This time the meeting attracted 120 people from 49 affiliations and companies representing 15 different countries. "As newcomers to the EPICS community we are glad to host this meeting, and we are particular happy that we have attracted representatives from the fusion community from all seven ITER Member states," says Franck Di Maio, chair of the local organizing committee. "The worldwide collaboration on EPICS remains a very impressive success story and a great opportunity for the construction of the world-wide instrumentation and controls for ITER."